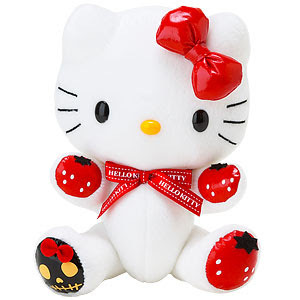 There was a Hello Kitty plush awhile back (see pic below) that was on sale at Sanrio.com. I believe it's still selling on Japan's Sanrio shopping website. Nearly a good designed plushie- almost there, Sanrio! 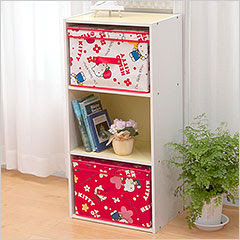 ^ This 2009 White Hello Kitty Plush caught my eye because I loved the red and white scheme of it all. Unfortunately, I didn't purchase it because I think the designers went overkill with the different colored hands and feet - or should I say, paws? I really love the red bow and the red neck ribbon because it really compliments well with the white plush color. Too bad, they messed it up by adding tomato looking hands with white specks. 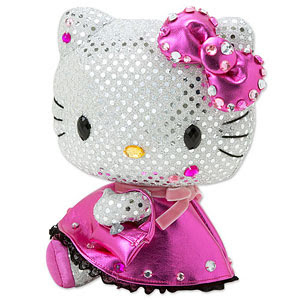 This next plush below is a SILVER dazzling piece of Hello Kitty plush that you can get here. I love the colors and the dress. I really would be interested in seeing this plush in a regular, less overbright setting to pass any kind of judgement. Spectacular comes to mind when I see this! ^ Unfortunately, even if I see it in person and the silver fabric of the plush is as great looking as the pic above - I still wouldn't purchase it. My reason? I don't like my plushes' body turned sideways with the head staring straight forward. I like my plushes' body and head facing at the same direction. And, it would also help if there was a larger size like say "HUGE!" ^ I love the idea like this, but the design isn't exactly to my taste. Another thing that I might dislike about it is that it looks like it's made out of fabric material. 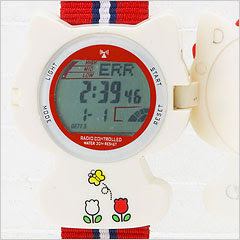 Have you seen this retro wrist watch Japan's Sanrio is selling? They are really going back in time. I'm not sure if that's a good thing or a bad thing. 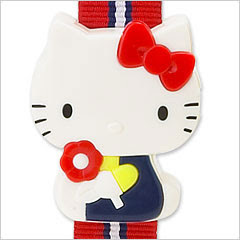 Bring back the vintage type Sanrio ring watches! They were so cute. OK, PAY ATTENTION YOU SANRIO NEWBIES! TIP: Below is FAKE. 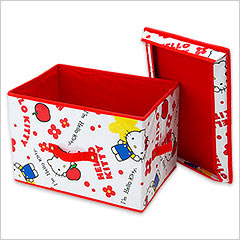 This is an example of fake sanrio items on e-bay. Seriously, can you imagine??? Yuck. Here's a new trailer for the Hello Kitty Online game! 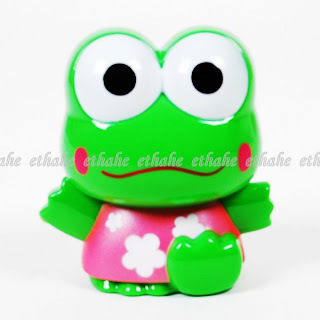 I can never get tired of watching the 3D Sanrio characters, especially HK, MM, Pochacco, and Keroppi. 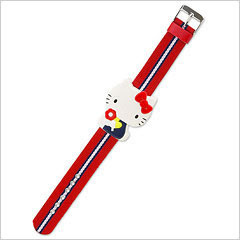 Do you know where can I purchase the Hello Kitty retro watch? I am not sure if they are still selling it online. You can always try HKJ(ask around), e-bay, or try one of the ISA's recommended on the FAQ.